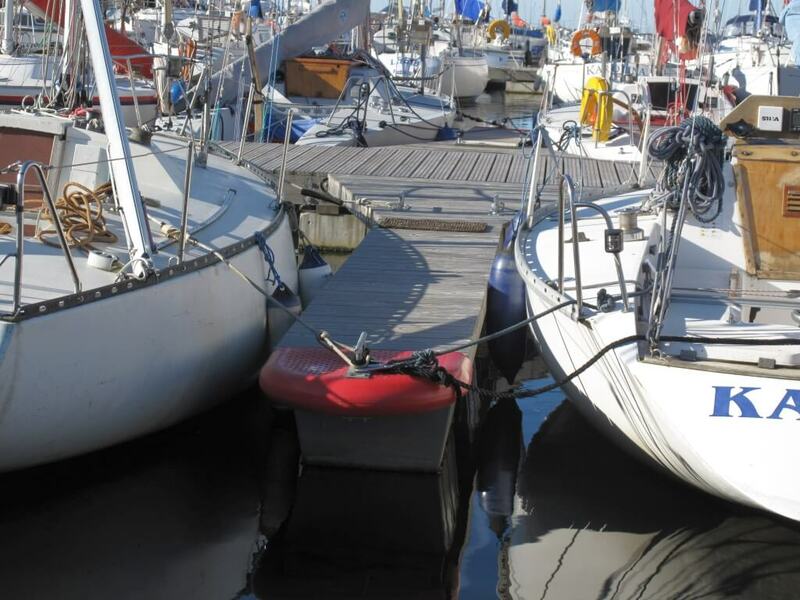 Mooring finger ensures the most secure fastening of vessels. 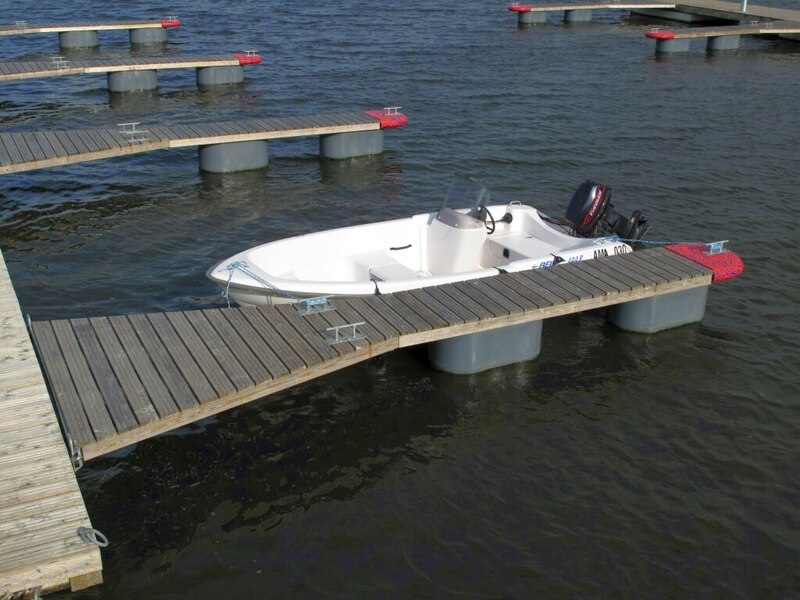 The boom consists of a hot-dip galvanized metal frame, plastic floats, boom tip and wooden decking. 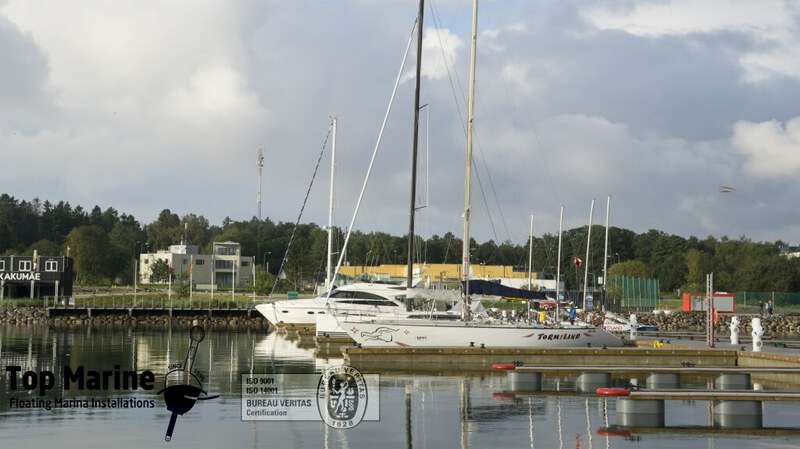 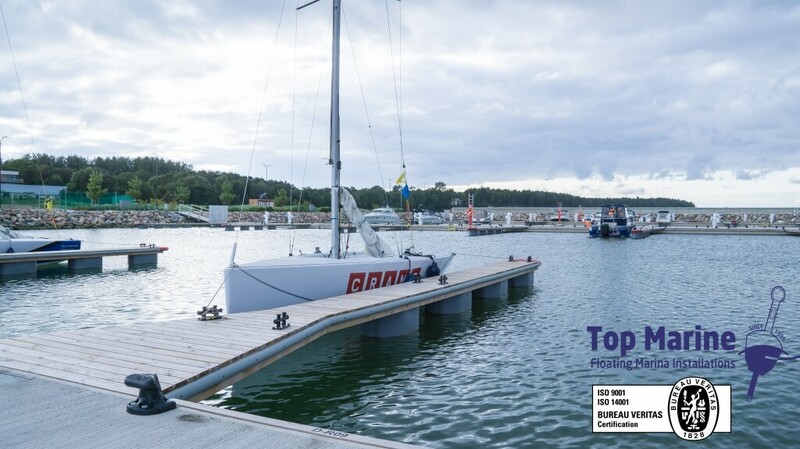 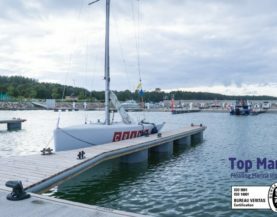 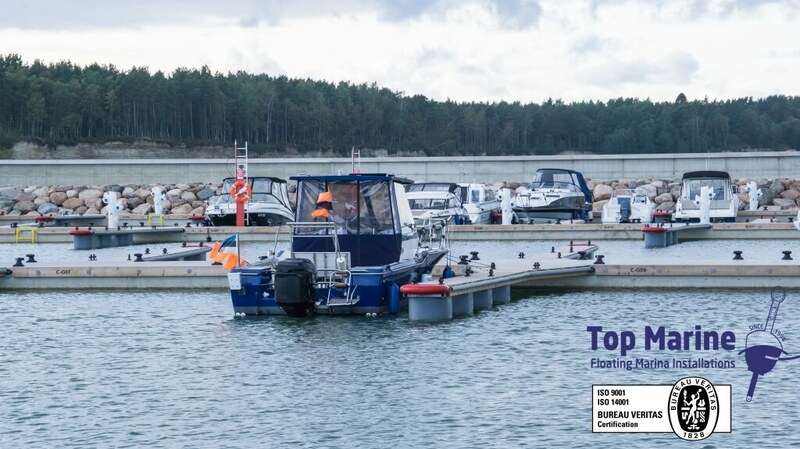 300-liter EPS-foam-filled sinking-proof plastic floats guarantee a high load capacity and, thanks to their conical shape, they are not endangered by ice or freezing during the winter. 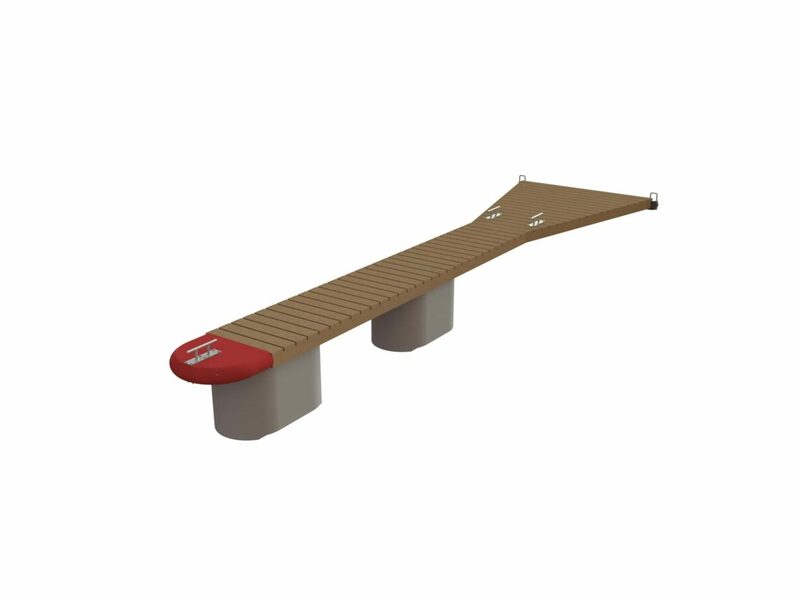 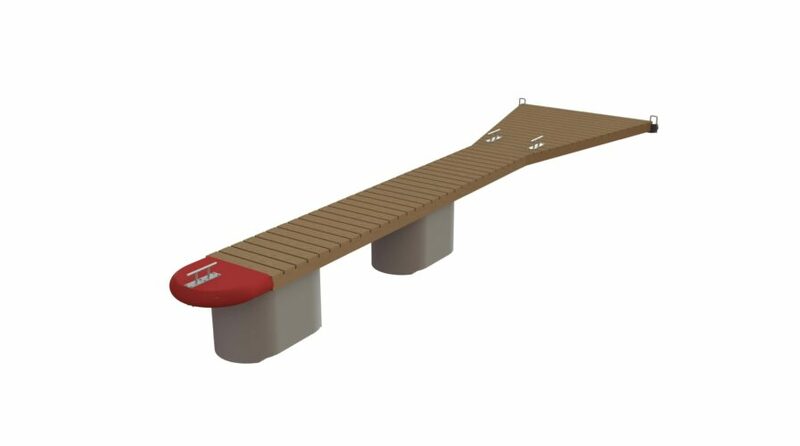 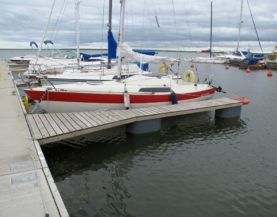 The wooden part is made of deep-impregnated pine wood and the decking is profiled to avoid sliding. 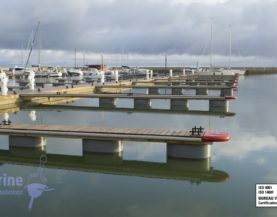 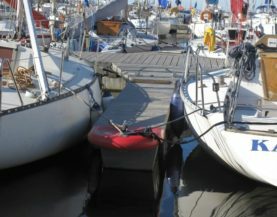 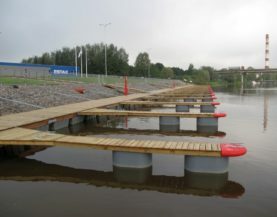 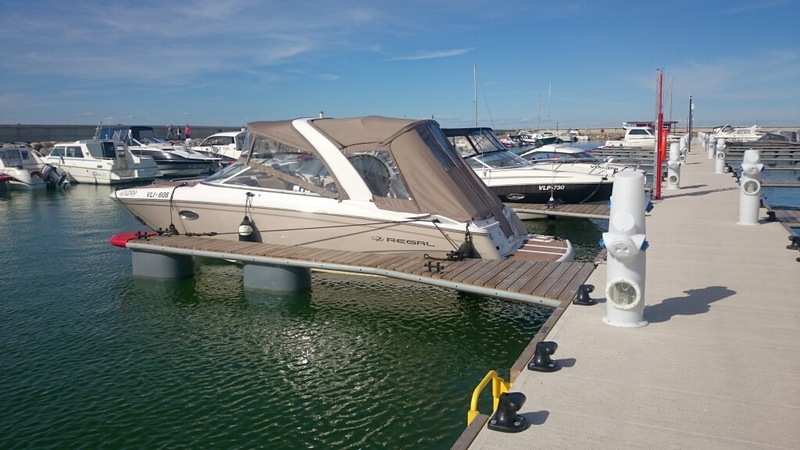 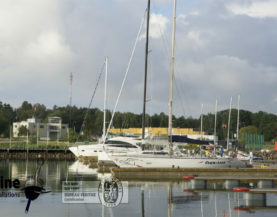 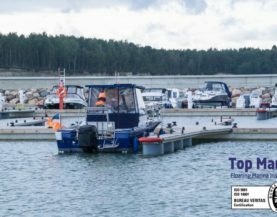 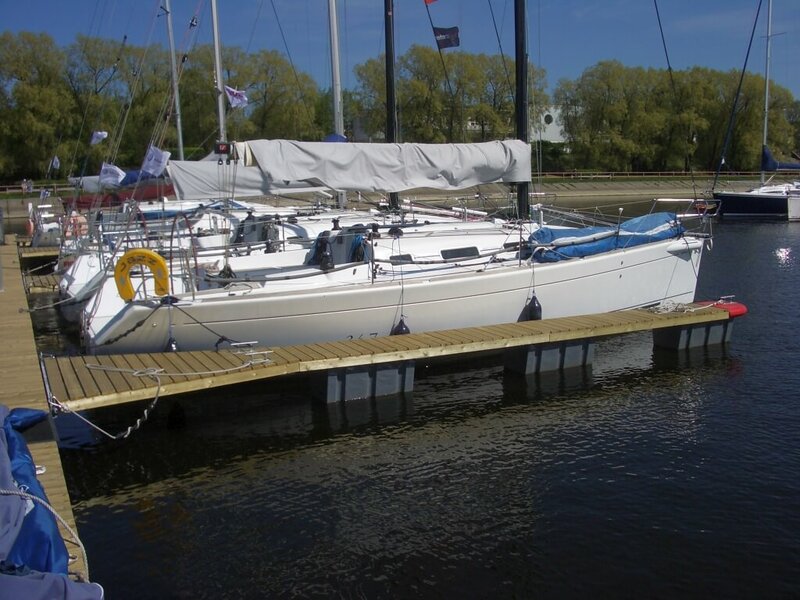 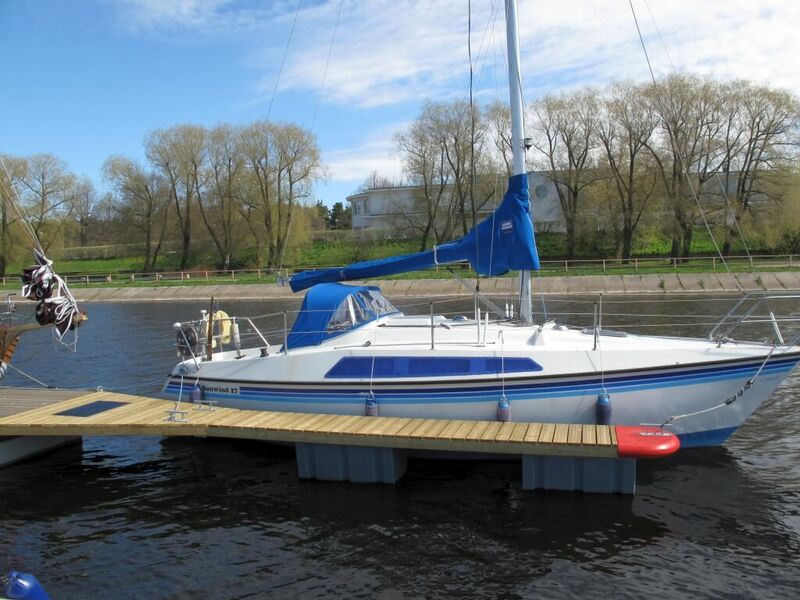 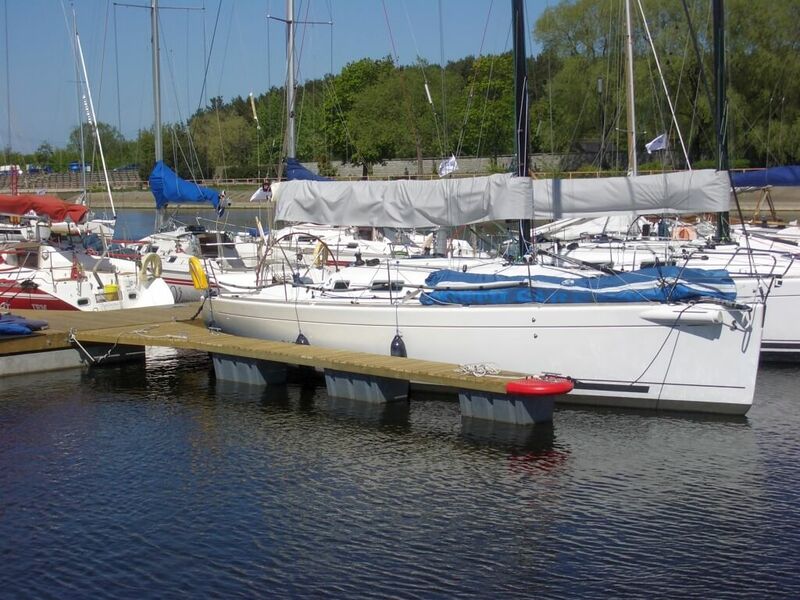 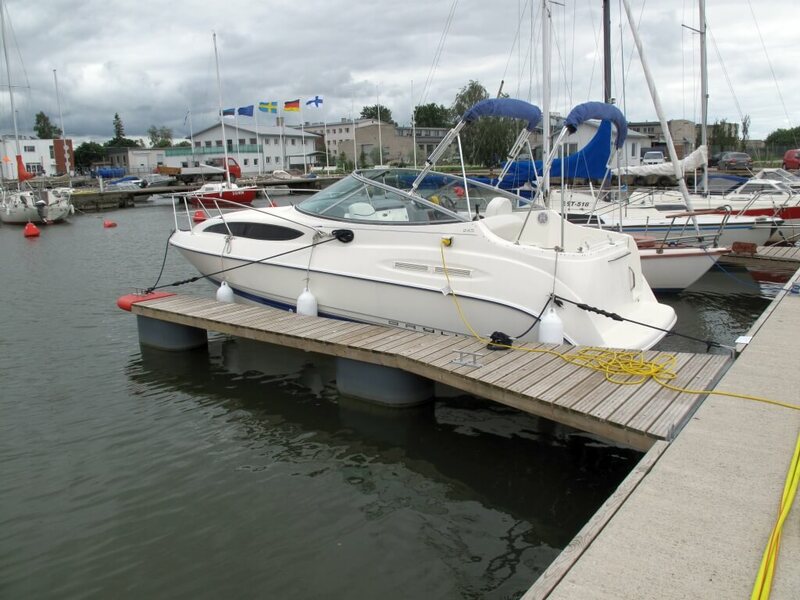 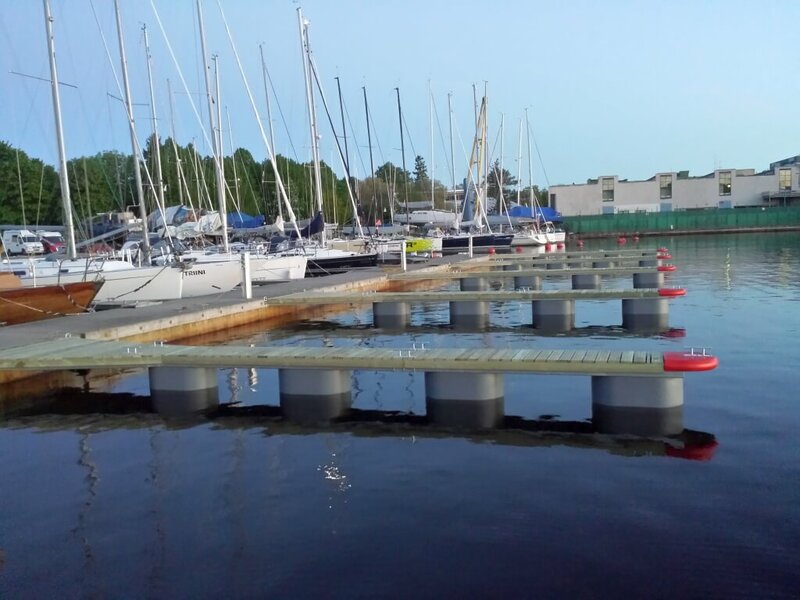 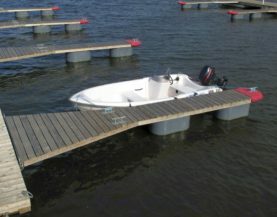 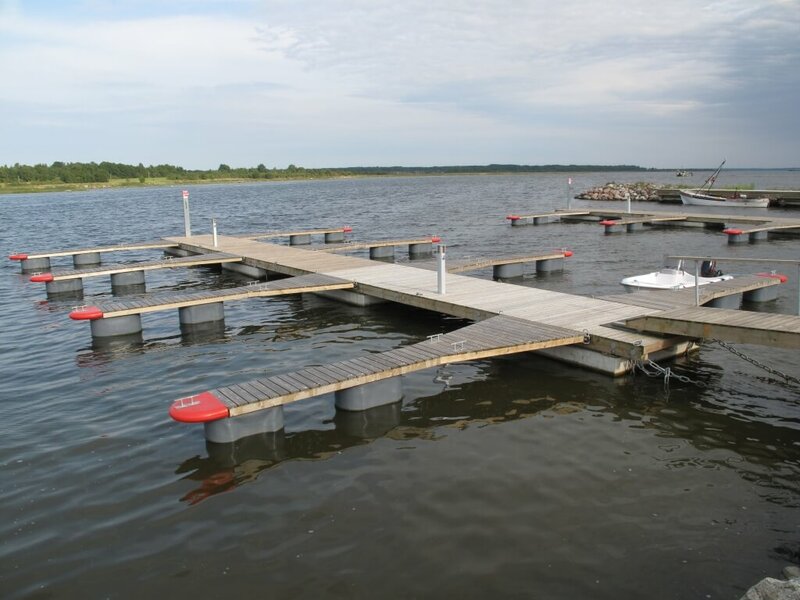 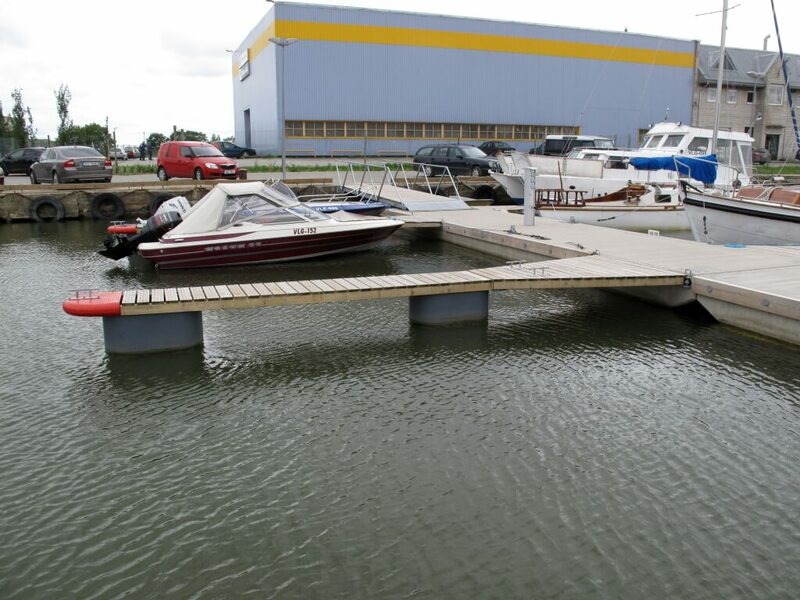 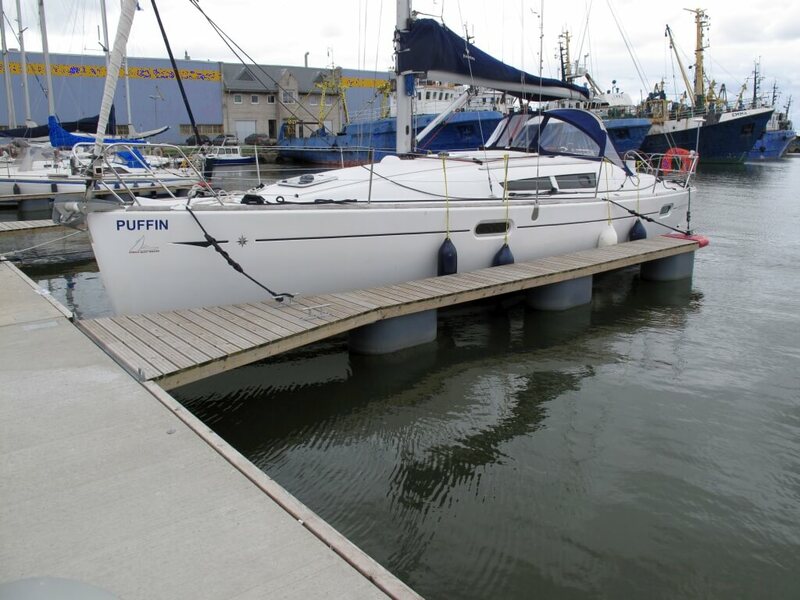 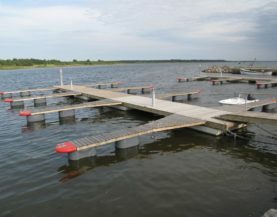 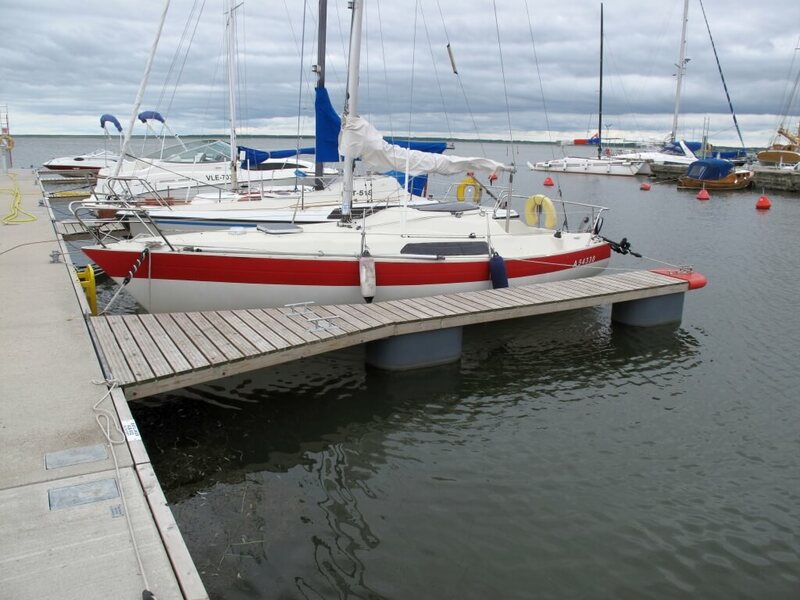 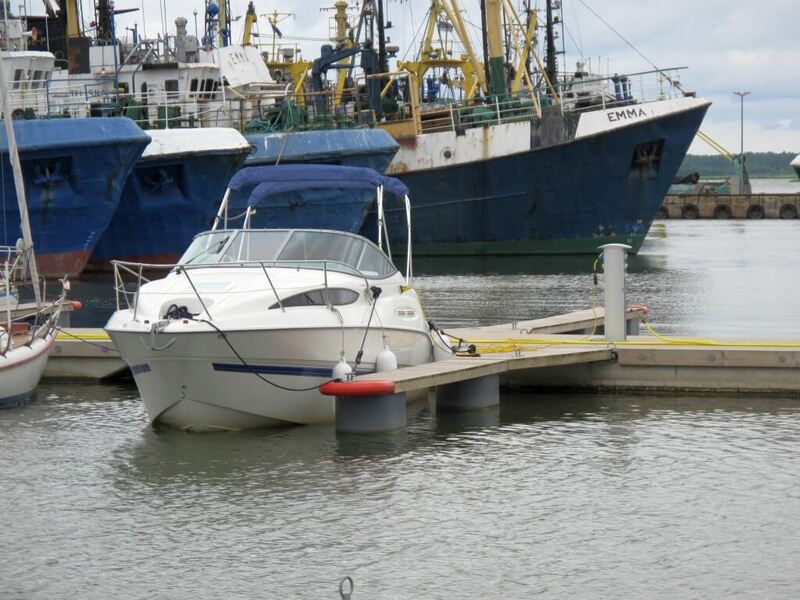 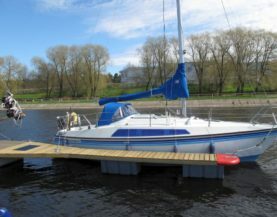 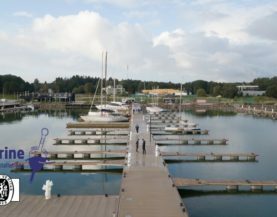 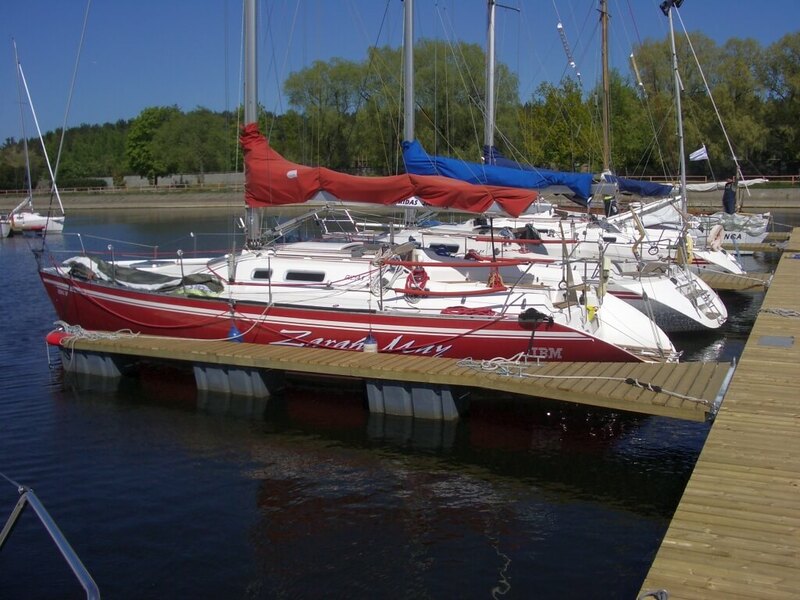 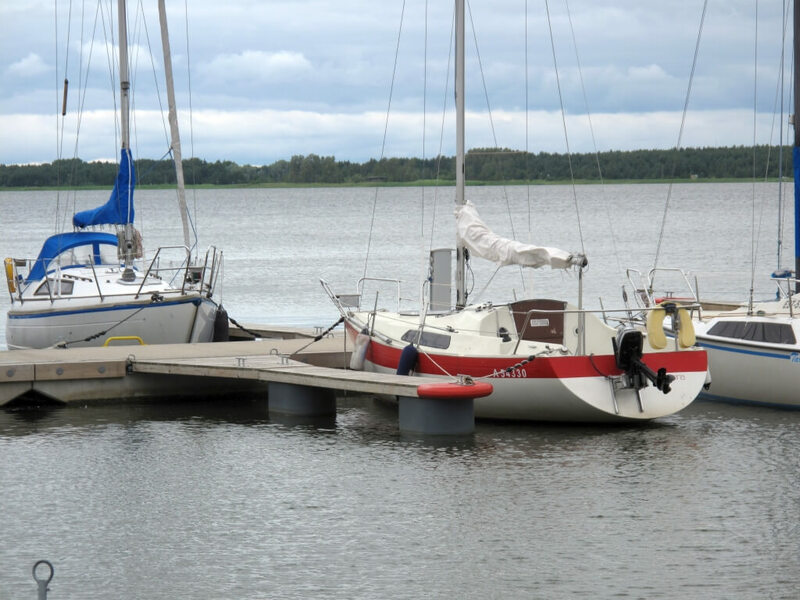 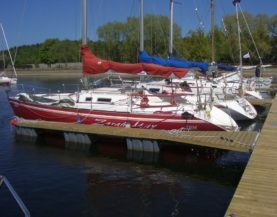 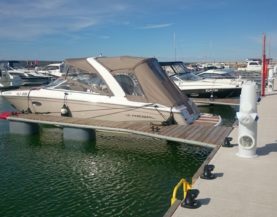 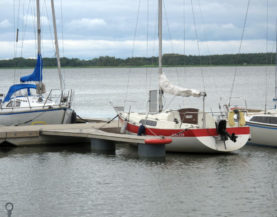 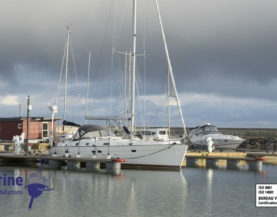 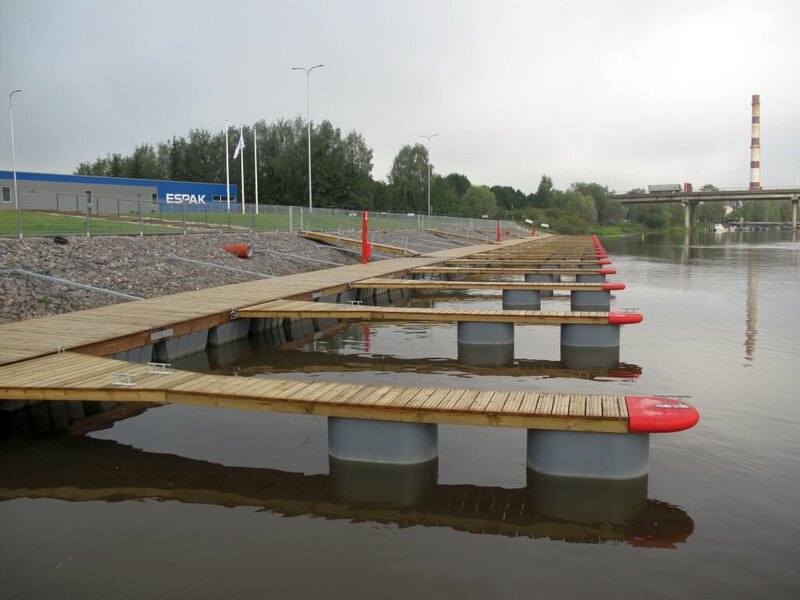 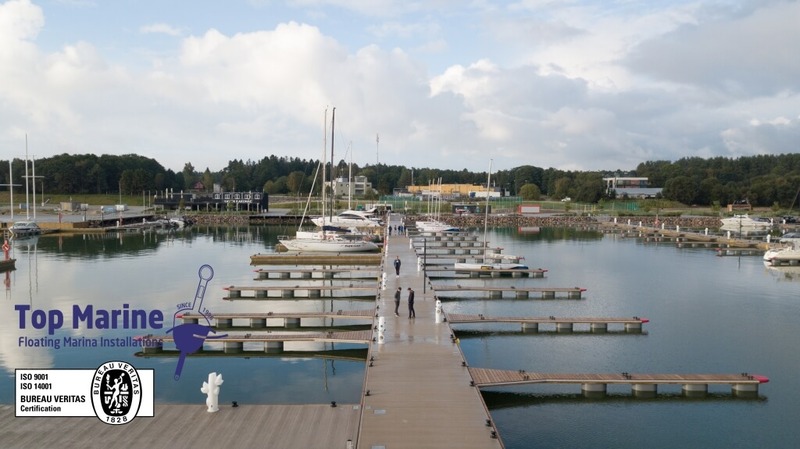 The boom is fitted to the pontoon by means of hinges or rubber connections that provide soundless connection. 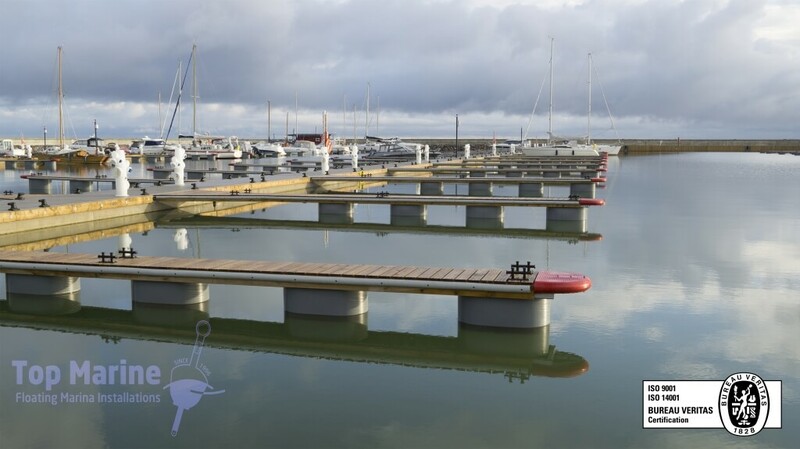 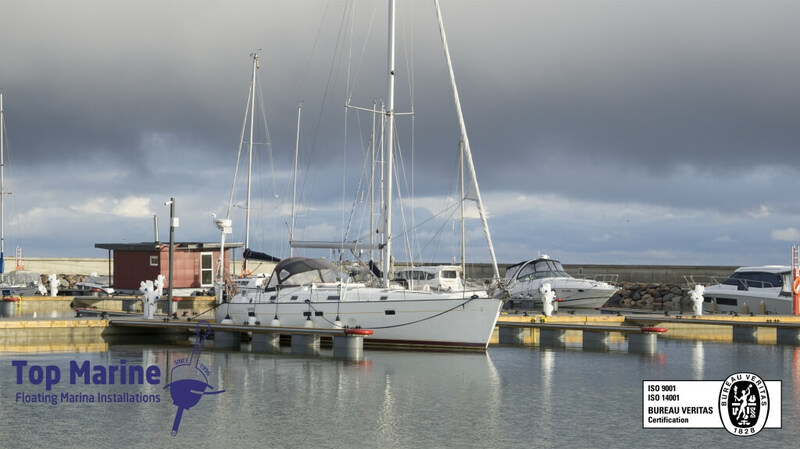 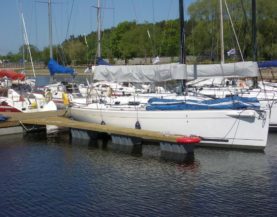 For mooring vessels, the mooring fingers can be fitted with mooring rings or T-bollards. 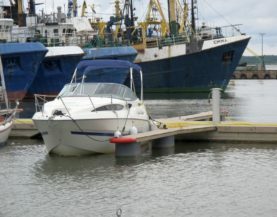 The length of the mooring finger is approximately 2/3 of the length of the vessel.